RADIUS is a client/server-based system that secures a Cisco network against intruders. Implemented in IOS, RADIUS sends authentication requests to a RADIUS server. Radius was created by Livingston Enterprises and is now defined in RFC 2138/2139. A RADIUS server is a device that has the RADIUS daemon or application installed. RADIUS must be used with AAA to enable the authentication, authorization, and accounting of remote users when using Cisco IOS routers. 1 The user is prompted for and enters a username and password. 2 The username and encrypted password are sent over the network to the RADIUS server. 3 The user receives one of the following responses from the RADIUS server: ACCEPT—The user is authenticated. ACCEPT-REJECT—The user is not authenticated and is prompted to re-enter the username and password, or access is denied. The RADIUS server sends this response when the user enters an invalid username/password pairing. CHALLENGE—A challenge is issued by the RADIUS server. The challenge collects additional data from the user. An ACCEPT or REJECT response can contain additional information for services that the user can access, including Telnet, rlogin, or local-area transport (LAT) connections, and PPP, Serial Line Internet Protocol (SLIP), or EXEC services. RADIUS is commonly used when PPP is used. Figure 5-2 displays a typical PPP connection request to a RADIUS server. UDP port 1812 is used. User initiates connection with a packet type labeled ACCESS-REQUEST-username/password prompt is sent by Radius Server. User enters username/password (username in cleartext password is encrypted). RADIUS server accepts or rejects request with packet type ACCESS-ACCEPT/REJECT. -User is prompted with Username/Password. The RADIUS server accepts or rejects a username and password pair. In some instances, a user might be asked to enter more information (this is called a challenge response). For example, if a user's password has expired, a RADUIS server will prompt the user for a new password. Transactions between the client (end user) and the RADIUS server are authenticated through a shared secret. The username is sent as clear text. RADIUS supports both Password Authentication Protocol (PAP) and Challenge Handshake Authentication Protocol (CHAP). PAP and CHAP are security protocols that allow users to gain access to remote devices with PPP. A RADIUS server will never send the user's password over the network in any circumstance. If the username/password pairing is entered incorrectly, the RADIUS server will send an ACCESS_REJECT response. The end user must re-enter the pairings or the connection will be rejected. RADIUS supports a number of predefined attributes that can be exchanged between client and server, such as the client's IP address. RADIUS attributes carry specific details about authentication. • Attribute type 6—Service-Type (Type of service requested or type of service to be provided). Not supported by Cisco IOS. 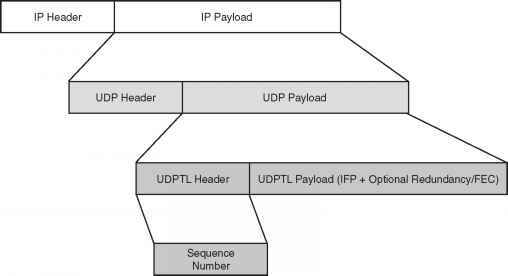 Packets sent between client and server are UDP primarily because TCP's overhead does not allow for significant advantages. Typically, the user can wait for a username/password prompt. 1812, port 1646 used for accounting. RADIUS is an industry standard defined in RFC 2138. Attributes are used to exchange information between the NAS and client. Client/server-based model where packets are exchanged in a unidirectional manner. Password is encrypted using MD5; the username is not. RADIUS encrypts only the password in the access-request packet, from the client to the server. The remainder of the packet is transmitted in clear text. A third party can capture other information, such as username, authorized services, and accounting. Does not support protocols such as AppleTalk, NetBIOS, or IPX. IP is the only protocol supported. Now, examine the RADIUS configuration tasks required on a Cisco router.